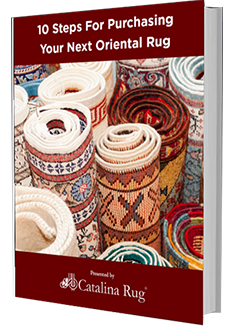 Home > Blog > Decorating with Rugs > What Oriental Rug Color Works For Dark Hardwood? We’ve all seen what a gorgeous pop of color an Oriental rug can provide in white rooms or rooms with blonde woods, but what do you choose if you have darker-colored flooring such as dark hardwood? The good news is there are gorgeous Oriental rugs for dark hardwood as well, and we can help you choose the perfect combination of colors and styles to complement such décor. Some people feel that a dark wood floor can make a room appear more somber and even more difficult to decorate, but others recognize the versatility of dark hardwoods for their sophistication and ability to make a room seem warm and inviting. Nearly everyone prefers darker hardwoods because they don’t show dirt as easily and they lend a sense of warmth and contrast to rooms that may otherwise be decorated in muted, subtle tones. 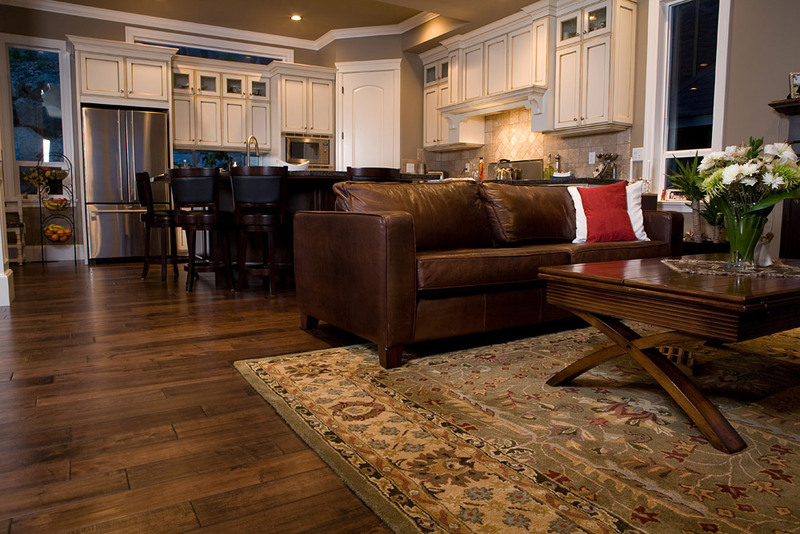 Darker hardwoods are also often the flooring of choice in a gentleman’s den because they reflect a more masculine air. Many people who have dark hardwood flooring also prefer deeper, richer tones for their furniture and walls as well. An Oriental rug in these types of spaces can provide not only warmth but an unexpected and cheerful pop of color as well. One of the greatest assets of any Oriental rug is the myriad colors that can be found within its pattern. Dark hardwood floors are perfect to showcase your Persian art piece, whether you choose a pattern of swirls and whorls or you go with one with a rich floral field filled with ivory tones or shades of calming turquoise. 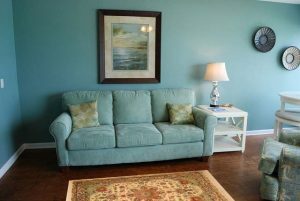 Lighter colors in more subdued tones will not only catch more natural light but also offer a gorgeous and calming contrast to your floor and any darker furnishings you may have. Those with a preference for Art Deco styles may even choose bright and sophisticated jewel tones for a look that reflects timeless style and Jazz Age sophistication. 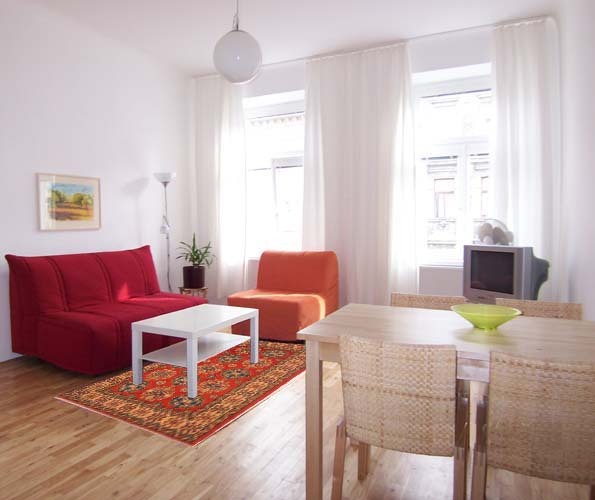 There are numerous ways to arrange your furnishings around your Persian rug, and one of the best ways to arrange is to have all the feet of your furniture surrounding the perimeter of the rug on the floor. This way the rug is truly the showpiece of your room, and your guests and family can admire its patterning, colors, and warmth from the best seats in the house. Another option might be to use smaller rugs in more muted and lighter colors as accent pieces around the room, lending warmth and color while keeping everyone cozy. Remember, too, that the larger your room is, the larger your rug may be. Regardless of the color you choose, rugs used as focal pieces on dark hardwood floors are sure to draw the eye down towards their gorgeous color, often turning into interesting conversation-starters. Oriental rugs in darker rooms lend retro-fabulous flair while showing off your sophistication and impeccable taste in home décor. 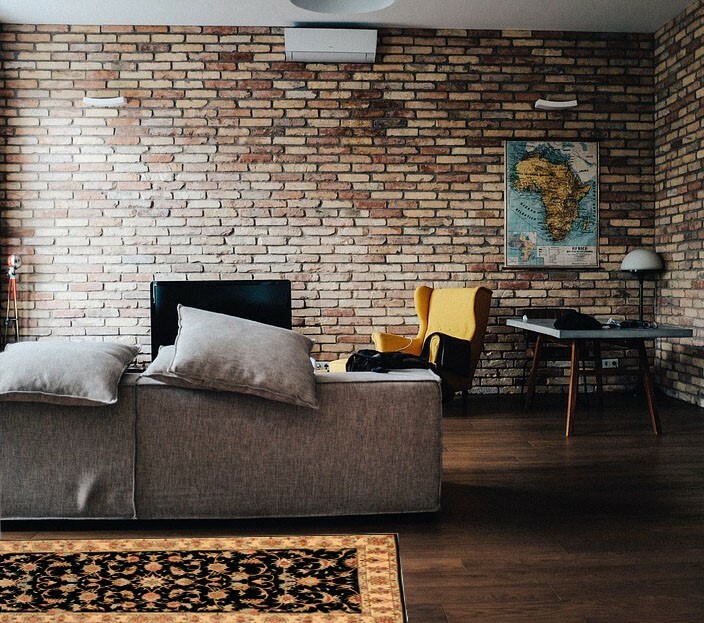 Whether you choose rich reds and burgundies shot through with gold or you choose something with a more muted color palette, there’s an Oriental rug just perfect for your dark hardwood floor and your existing décor.